Angela Merkel and Francois Hollande informed (Putin) about the results of their recent meeting with the president of Ukraine in Berlin. 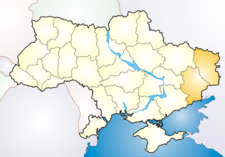 Vladimir Putin expressed concern about the continuing artillery bombardments of populated localities in Donbass by the Ukrainian military, the build-up of the Ukrainian Armed Forces along the line of demarcation. The three leaders emphasized the need to establish a direct dialogue between Kiev and representatives of Donetsk and Lugansk and of lifting the financial and economic blockade of Donbass. They underscored the importance of continued ceasefire, citing the plight of civilians in eastern Ukraine. He stressed the need to establish direct dialogue between Kiev and representatives of Donetsk and Lugansk and to lift the financial and economic siege of Donbass. The Russian President said that there is no alternative to a political settlement of the conflict on the basis of full implementation of the Minsk agreements, stressing the importance of holding a constitutional reform in Ukraine that would be coordinated with Donetsk and Lugansk.